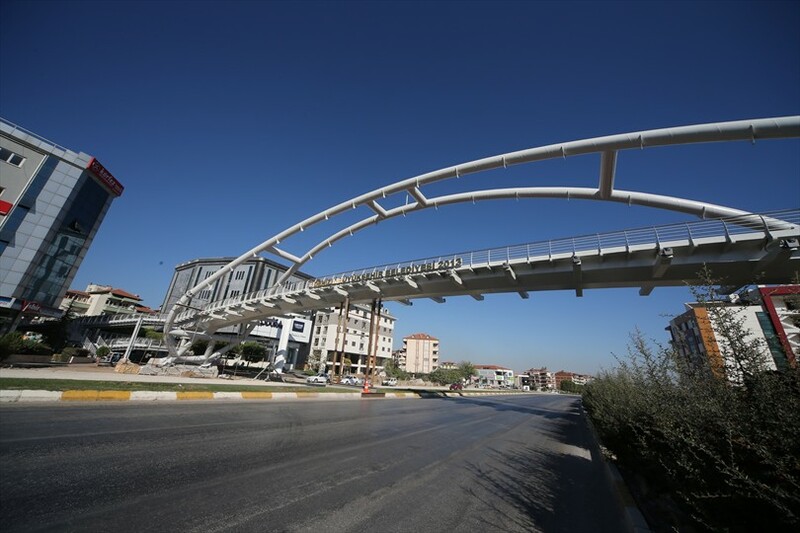 In order to provide the safety of pedestrians and traffic on the intercity roads, Denizli Municipality has completed the Yunus Emre Over Crossing Bridge. The official opening of Yunus Emre Over Crossing Bridge, the 10th over crossing bridge in the city, will be make by Prime Minister Recep Tayyip Erdogan during his visit in Denizli. 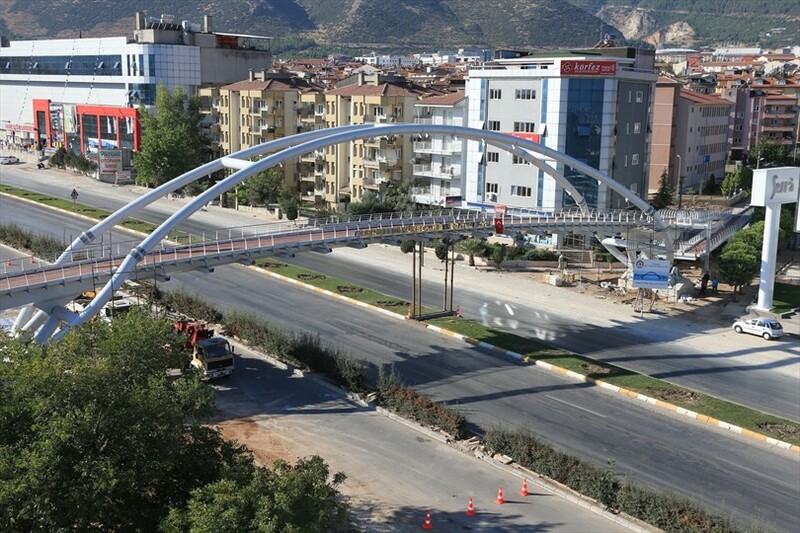 Denizli Municipality continues to construct pedestrian over crossing bridges in order to provide the safety of pedestrians. In this context, the 10th over crossing bridge in Denizli, Yunus Emre Over Crossing Bridge has been opened for use. Pointing out that human life is more important than anything, Mayor Zolan, ''Ynus Emre Over Crossing Bridge is the 10th Over Crossing Bridge in Denizli. This bridge has a special feature. This is the longest over crossing bridge that has been done in Denizli. 65 meter-long in a single piece without counting the foot, Bridge is located on Denizli-Antalya and Muğla highway and it's considered the longest bridge in Denizli. It is well known that in this area there were big problems in crossing the road. But now this highway became more secure and this problems has been solved for the people in the region. We are renewing this highway from top to bottom. Road with its new infrastructure, landscaping, side roads, green spaces will be on world standards. 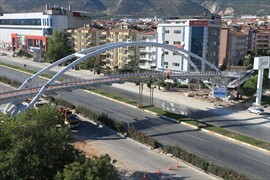 Denizli became a modern city due to its new roads, streets and over crossing bridges. In this context, Yunus Emre Over Crossing Bridge is opening for use. Stating that they will continue the construction of the over crossing bridges where it needs, Mayor Zolan, ''We'll continue to make over crossing bridges as long as it is needed. Of course there are over crossing bridges in our future plans. Traffic intensifies from day to day. In this context we have to ensure the security of our children an elders in this fast-flowing traffic. We have projects of over crossing bridges planned. One of them is going to be Akhan. We must catch up the lost years. For more than nine years we are working to do it. In 2004, when we started our duty in Denizli there was no over crossing bridge. There was not a single bridge crossing. Unfortunately Denizli's roads were very bad. Now Denizli's roads are in very good condition. As our Prime Minister we'll continue to make progresses in bringing more beauties to the people of Denizli. I'm celebrating in advance the official opening of Yunus Emre Over Crossing Bridge by Prime Minister Recep Tayyip Erdogan during his visit in Denizli. Yunus Emre Over Crossing Bridge, the first suspension bridge in Denizli is 65 m length. Platform width of 4 meters. Belt height of 15 m and 200 tons of steel were used in construction of the over crossing bridge.